It’s been 100 years since a Canadian soldier, headed overseas to serve in the First World War, bought an orphaned bear cub and named her after his home town, Winnipeg. The bear, Winnie, would go on to inspire one of the world’s most-loved children’s book characters, Winnie the Pooh. This fall, a new exhibit at Ryerson University will tell the story of Canadian soldier Harry Colebourn and the real Winnie the Pooh. Remembering the Real Winnie: The World's Most Famous Bear Turns 100, will feature Colebourn’s photos, letters, and diaries, which now belong to his great-granddaughter, Lindsay Mattick. There will also be newspaper clippings and a never-before-displayed veterinary kit from the First World War. The university is also launching a website that will let visitors access the artifacts virtually. Colebourn bought Winnie for $20 in White River, Ont. on Aug. 24, 1914, according to the White River Heritage Museum website. The cub had been orphaned when a hunter killed her mother, and a trapper had taken her into town. From White River, Colebourn brought Winnie to England where she became his regiment’s beloved pet. According to the heritage museum’s website, Winnie even slept under Colebourn’s bed. 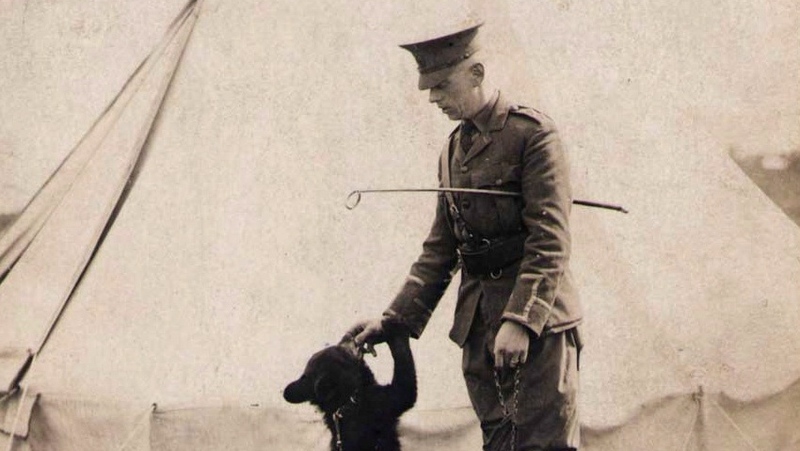 "My great-grandfather bought this little bear cub, he named her Winnie after Winnipeg where he was from, took her, trained her, and she became the mascot of his regiment," Mattick told CTV News Channel. But when Colebourn was deployed to France, he was worried Winnie wouldn't be safe on the front line, Mattick said. So Colebourn gave Winnie to the London Zoo, where she became a popular attraction. Eventually, Winnie drew the attention of author A.A. Milne and his son, Christopher Robin Milne. In those days, Mattick said, zoos were more interactive and people could pet and play with Winnie, who had become a tamed bear. 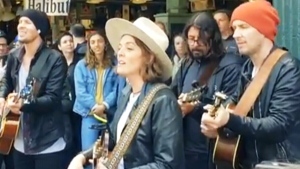 "They would let children into the cage to play with her and he (Christopher Robin) really, really had a fondness for Winnie and he named his stuffed bear after her,” she said. Christopher Robin loved Winnie so much that his father began writing children’s stories about Christopher Robin and Winnie the Pooh. A.A. Milne went on to publish Winnie the Pooh in 1926 and The House at Pooh Corner in 1928. Disney later made several animated adaptations of Milne's stories, including the feature-length film The Many Adventures of Winnie the Pooh in 1977. The fictional Winnie became so popular that his celebrity has outshone the fame of the real Winnie. Now, the Ryerson exhibit is trying to raise awareness about the often-forgotten bear behind the story. Mattick has also written a children’s book, titled Finding Winnie. Colebourn returned to Winnipeg after the war in 1920 and worked as a veterinarian. He died on Sept. 24, 1947. Winnie the bear lived the rest of her days at the London Zoo. She was 20 when she died there. 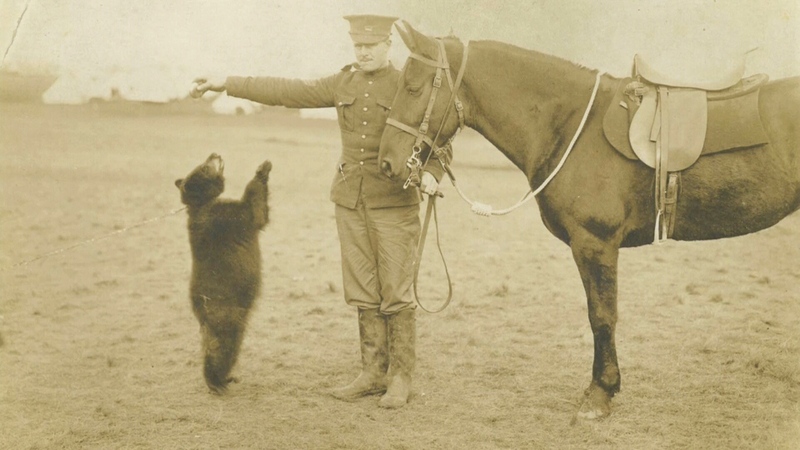 Harry Colebourn, a Canadian soldier and veterinarian purchased a bear cub in White River, Ont., and named it Winnie after his hometown of Winnipeg. 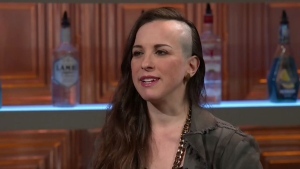 Lindsay Mattick, the great granddaughter of Harry Colebourne appears on Canada AM, Thursday, Aug. 21, 2014.